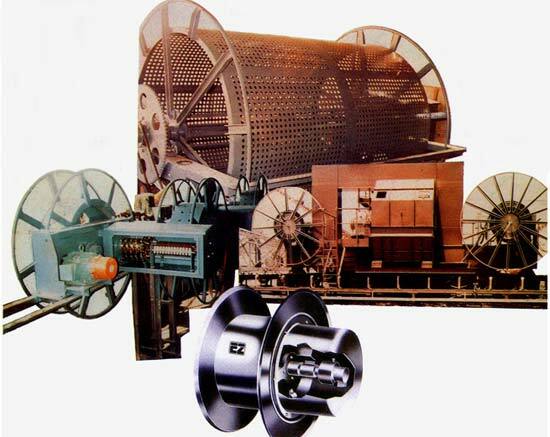 Cable Reeling Drums are used for automatic reeling and unreeling of flexible trailing cables for current-consuming mobile machines, whose travel is mostly track bound. The spring acts as the drive force. The spring drum is used for small sizes and lengths of cable. Due to the limited torque available from the spring, the size and length of cable that can be wound is limited. The life of the spring depends upon the number of operations i.e. the working cycle. 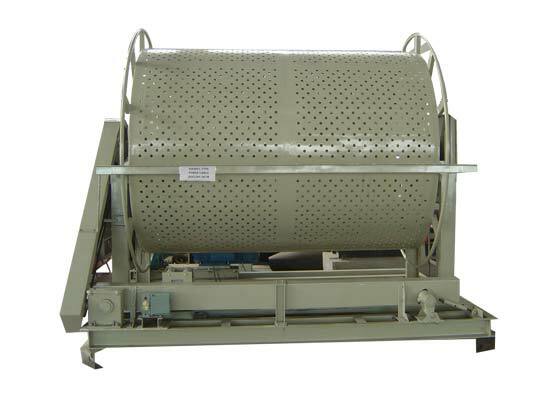 The application of spring drum is limited to electro-magnets, machine tools, etc. Since the efficiency and reliability of the drum depends on the quality of the spring, great care should be taken in the selection and manufacture of the spring. The counter weight acts as the drive force and is suitable for cable sizes upto 4 x 95 mm sq. and travel length upto a maximum of 100 metres. The length of cable is limited by the height the counter weight has to traverse. The drum is driven by a specially designed "Stall Torque Motor". The motor provides the necessary torque for the rotation of the drum and has proven to be the most reliable drive for the cable reeling drum. 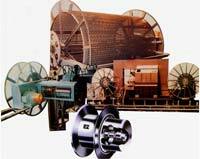 Motorised cable reeling drums can handle almost all sizes and lengths of cable. The output torque can be reduced in the slipring motor by increasing the rotor resistance.